Black Coffee: The Killer is a stark look at the perversion of our society, and the ties that hold us together despite the darkness of the times. Beginning with an intense exposition of a battle between the Allies and the Germans during WWII, the young soldier Virgil watches the slaughter of his trench-mate, and, upon return to England, commits a murder of his own. A classic gun-for-hire, Virgil receives his assignments in a diner where he orders black coffee. No cream. No sugar. And while Virgil may be desperate, parking his rusting car alongside junkies in the English town of Bludstone, his compelling backstory describes the root of his desperation, and it is here, in the tortured past of the contract killer, that Virgil’s character becomes clear, and the reader somehow fights through the atrocity of the murders Virgil has committed to understand his true self. The ruins of Virgil’s life become clear, yet in the desolation and emptiness of Virgil’s cheap motel room with the grimy yellow towel, it is clear that there are pillars of life running through his life, pillars that encourage him to go on, and which transform him from the apathetic villain he may first be seen as, into a powerful and passionate figure with a backstory more traumatizing than most will ever know. 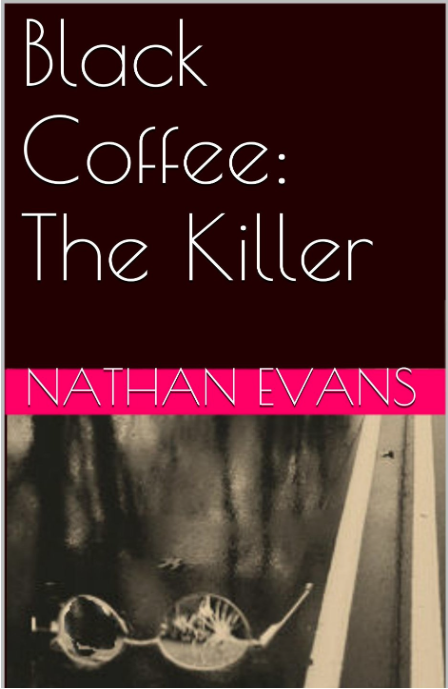 The dualities of the story are clear, and are the strongest aspect of this chapter-length installment of the Black Coffee series. The backstory is stronger and more captivating, while the events taking place in the present seem somehow distant, even though they are written as a stream of consciousness. Indeed, the plot points seem disjointed, but this adds to the story- while the reader may be confused as to how elements of the story relate to each other, each plot line is resolved at the end, and the rather schizophrenic jumping of the storyline directly relates to the battle being waged in Virgil’s own mind. The strength of the story is evident in the glimmers of hope that shine through the depressing tone and aching heartbreak that fill many of the pages. The darkest depths of society have lightness shone upon them, and the strength of love over time, even in pain and suffering, are clear. Black Coffee: The Killer is the perfect read for a lazy Sunday morning, a book to make you think about the people around you and their stories, their lives, as you sip on your morning java. Enjoy it With: your morning coffee. Hold the cream. Hold the sugar.